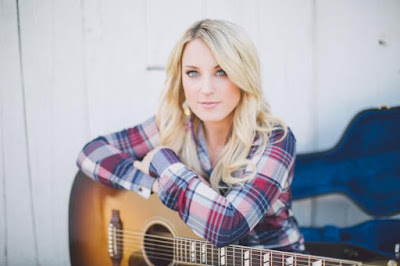 Popular television show Country Fix will host the world broadcast premiere of newcomer Callie Twisselman's acoustic video, "Breathe," on Monday September 7. Fans in over 100 MILLION households can catch the emotionally-impactful video on DISH Network, Blue Highways TV, Heartland TV, Angel Two, The Family Channel and AMG. And try to forget your name but my mind doesn't work that way - no"
Callie recalls that painful time in her own life, noting, "I literally poured out my heart and tears on to a piece of paper when I wrote this one. My music is little pieces of who I am - some people write in diaries or go to therapy, I write a song." For Twisselman, this acoustic video represents a chance to share a moment of empowerment with her fans. "This is really about getting back to the person within ... your truest self. I think most people can definitely relate to it," she adds. "I've even had some folks say they felt like the song was literally written for them." The "Breathe" video premiere follows last month's release of Twisselman's latest Country radio single, "Hung Me On The Line."